We are the global market leader for non-corrosive fluxes used in aluminium brazing technologies: we sell NOCOLOK® brand products supported by a full spectrum of aluminium brazing supplies and services plus specialized know-how. The world of NOCOLOK® is the world of aluminium brazing. Our customers enjoy many genuine advantages: NOCOLOK® users enjoy not only a broad product range but also broad technical advice and competent after-sales service. All technical issues are quickly and dependably answered. You can also be sure of this: all products are based on the very latest research. Aluminium brazing is used in the automotive industry, in the production of air-conditioning systems, refrigerating systems, domestic and electrical appliances. 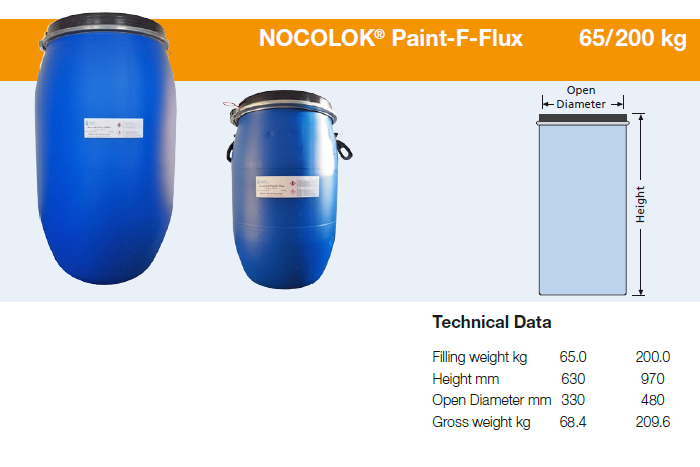 NOCOLOK® Flux Paste is a flux paste specifically formulated for providing a viscous homogeneous mixture of NOCOLOK® Flux (15 – 50%) in an organic carrier for brazing aluminium cladded interfaces where traditional water based fluxing is not suitable. Typical applications include but not limited to: interior tube seams (B-tubes), snap over joints (clinch tubes), tube-to-header joints, internal turbulators. The paste can be dispensed manually by brush or syringe or with automatic dispensing equipment. The paste can be used in both furnace and flame braze process. CsAIF4 can be added to accommodate materials with Mg of up to approximately 0.5 % in furnace brazing. This refers to the combined Mg-level of both components to be joined. NOCOLOK® Precoating can be used in mixture with NOCOLOK® Flux or NOCOLOK® Zn Flux and water to improve adhesion of the flux coating. The system can be applied on external and internal surfaces in order to reduce flux fall-off and dust formation on handling of flux coated components. Proper application of the Precoating/water/flux system shows no negative effects regarding the appearance of the post braze aluminium surfaces, compared to the use of pure NOCOLOK® Flux or pure NOCOLOK® Zn Flux (especially no discoloration effects). NOCOLOK® Sil Flux efg plus Binder Mixture is a preparation of NOCOLOK® Binder, NOCOLOK® Thickener, NOCOLOK® Sil Flux extra fine grade and water to improve adhesion of the flux coating. The system can be applied on external and internal surfaces in order to reduce flux fall-off and dust formation on handling of flux coated components. When applied in accordance with recommendations, the binder/thickener/water/flux system shows no negative effects regarding the appearance of the post braze aluminium surfaces, compared to the use of pure NOCOLOK® Sil Flux extra fine grade (especially no discoloration effects). > 10 °C, with subsequent drying step! The NOCOLOK® 028 flux paste range contains NOCOLOK® Flux with an organic carrier or water carrier system. Some of these products are cesium complex enhanced. The NOCOLOK® 028 flux paste range is typically applied to braze critical joints by dispense, brush or, in some cases, by spray application. Used in joint situations where filler metal is resent in the form of a clad layer or filler metal shim and wire pre-forms are positioned in the joint area. No component mixing is required. Products are supplied as ready to use products, requiring stirring only. NOCOLOK® Flux 7028-9028 metallized flux pastes range is a mixture of NOCOLOK® Flux, aluminium filler metal, AlSi 7/10/12, with an organic carrier system. It is widely used where additional filler metal is required and can replace most braze operations where filer metal rings and flux pastes are used. The advantage is that a single product is used; no mixing is required. Products are supplied as ready to use products, requiring stirring only. As the active component of Corrosive-Flux-Paste, AL-Flux 0726 contains a mixture of LiCl, NaCl, KCl, inorganic- and complex- fluorides. Organic carrier systems are used to prepare a wide range of pastes for the flame brazing of aluminium materials. 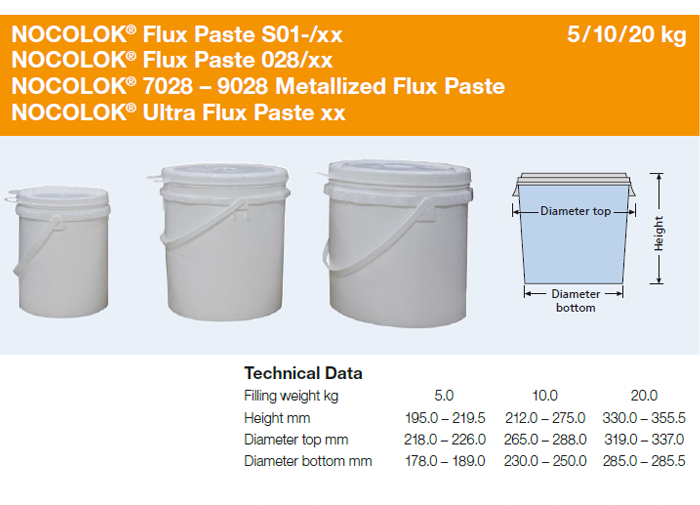 Al-Flux 0726 Flux Paste is typically applied by dispensing and brushing for flame brazing. No component mixing is required. Products are supplied as ready to use products, requiring stirring only. Ultra brazing flux paste is a mixture of NOCOLOK® Flux, hydrocarbon, polymer and mineral oil carrier system. Ultra flux paste is available with filler metal enhancement (AlSi 7/10/12) and available with Cs enhancement for special applications. Typical applications are by dispensing onto the internal braze area of folder radiator and heater tubes (lock seam and B-style tubes) during the tube forming process (typically 0.1 – 0.5 grams/linear meter). No component mixing is required. Products are supplied as ready to use products, requiring stirring only. Paint-F-Flux is supplied in a liquid format with a suitable viscosity for application by spray technique. It is applied by air spray or rolling. No component mixing is required. Products are supplied as ready to use products, required stirring only. A high quality fluxing agent for brazing aluminium components. NOCOLOK® flux is non-hygroscopic and only very slightly soluble in water (0.2 % to 0.4 %). The shelf and pot life of the flux is therefore indefinite. The flux does not react with aluminium at room temperature or at brazing temperature and only becomes reactive when molten (at least partially molten). The flux leaves a mainly water insoluble residue which need not be removed. Brazing agent - as combined brazing and fluxing agent for brazing of aluminium. NOCOLOK® Flux Drystatic is used to coat aluminium components with flux by utilizing electrostatic attraction to 'dry' flux the surface ready for brazing. It is used extensively in the automotive industry in specialized Controlled Atmosphere Brazing (CAB) furnaces. A reactive flux for the brazing of aluminium and filler alloy generating flux for brazing aluminium. Reactive flux for the brazing of aluminium and filler alloy generating flux for brazing aluminium. NOCOLOK® Cs Flux is a flux for brazing magnesium aluminium alloys. NOCOLOK® Li Flux shows the same outstanding properties and brazing performance of standard potassium fluoroaluminate flux – with further enhancement of the post braze flux residue characteristics. NOCOLOK® Li Flux Drystatic is a flux for aluminium brazing with further reduced residue solubility and improved corrosion characteristics and using electrostatic/dry powder coating. Cesium Tetrafluoroaluminate (CsAlF4) is particularly suitable for flame brazing of magnesium-containing aluminium alloys. ANTAROX® BL-225 is a biodegradable linear alcohol EO/PO. It is a low foaming non-ionic with excellent hard surface detergency combined to wetting properties. It is soluble in water and most organic solvents except paraffinics. It is stable in acidic and alkaline solutions and can be used as a rinse aid for commercial dishwashing or miscellaneous industrial applications. Compliant with the EU's detergent biodegradability regulation. As the name of this product type indicates, Flux-Green-Filler-Stop (GFS) “stops” molten brazing filler metal from flowing into areas where it is unwanted, thus keeping it “stopped” so that the surfaces remain clean and free from the presence of any filler metal. Brazing filler metals do not like to bond with, or flow over, any dirt, grease, or oxides so the presence of any of these contaminants on the surface of parts to be brazed can prevent the filler metal from flowing over surfaces where these contaminants are located. 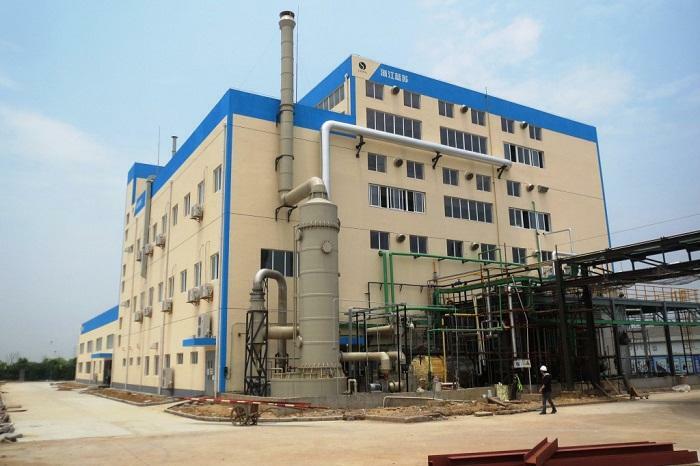 Therefore, GFS compounds are very effective at preventing molten filler metal flowing into protected areas. The GFS compounds are mixed with a liquid carrier solution to form and can be applied onto metal surfaces by using a small brush or by spraying or dipping. 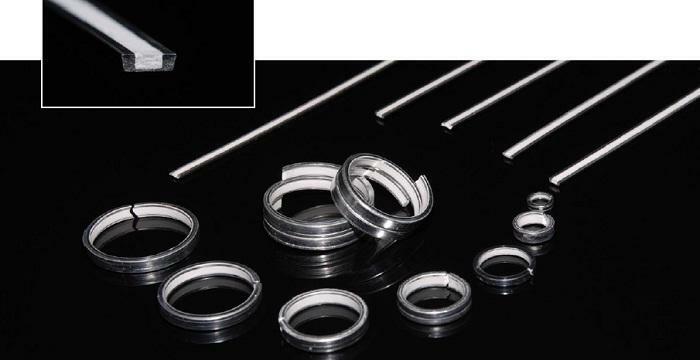 The U-Profile Brazing Alloys are alloys that already have the flux integrated into the material. Using this new technology effectively reduces labour costs and waste. Here you can find the complete collection of NOCOLOK® publications. Aluminium brazing is now the preferred process for the production of automotive heat exchangers such as radiators, condensers, evaporators and heater cores. Good corrosion resistance in standard applications, formability and high thermal conductivity make aluminium an ideal material for the construction of these heat exchangers. Aluminium brazing involves joining of components with a brazing alloy, that is an aluminium alloy (Al-Si) whose melting point is appreciably lower than that of the components. This brazing alloy is usually placed adjacent to or in between the components to be joined and the assembly is then heated to a temperature where the brazing alloy melts but not the components. Upon cooling, the brazing alloy forms a metallurgical bond between the joining surfaces of the components. In automotive heat exchanger applications, this filler metal is supplied via a thin sheet or clad on a core alloy. The core provides structural integrity while the low melting point Al-Si cladding alloy melts and flows during the brazing process, to provide upon cooling a metallic bond between the components. There are multiple ways to improve the efficiency of a given air-conditioning system. A minimization of the temperature difference between the airflows and the phase change temperatures of the refrigerants can be achieved by increasing the heat transfer surface area or by improving the heat transfer efficiency of the heat exchangers. Brazed microchannel heat exchangers have already proven that they are able to provide an elegant and cost effective solution for the utilization of this optimization potential – while also providing a number of other benefits. Flame brazing aluminium to copper is common in the refrigeration industry where copper tubes are brazed to aluminium roll-bond panels or tubes. Brazing copper to aluminium is very similar to brazing aluminium to aluminium, but some precautions are necessary. In flame brazing the inter-diffusion of copper and aluminium can be halted rapidly by simply removing the heat source - in this case simply removing the flame is sufficient to allow the joint to cool quickly. It is possible to braze aluminium and steel or stainless steel and this is practiced in the household appliance industry for the manufacturing of pots an pans for example. In the manufacturing of pots and pans where there is a large surface area between the aluminium base plate and the pot, a mixture of filler metal powder and flux is often used. In aluminium tube to steel or stainless steel tube joining, conventional flame brazing techniques can be used. Filler metal wire, either pre-placed or fed into the joint must be used. Solvay is the global market leader for non-corrosive fluxes used in aluminium brazing technologies: we sell NOCOLOK® brand products supported by a full spectrum of aluminium brazing supplies and services plus specialized know-how. The world of NOCOLOK® is the world of aluminium brazing. 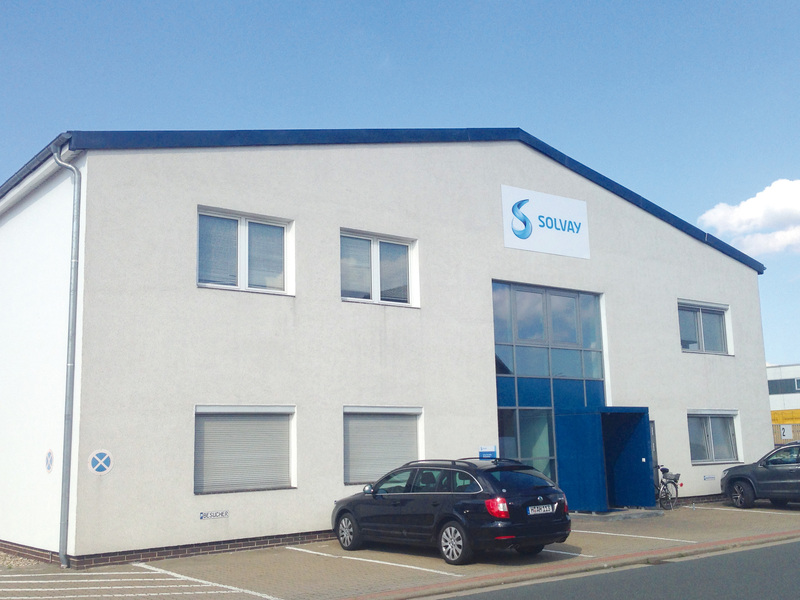 Solvay acquired the Flux Schweiß- und Lötstoffe GmbH (Flux), now renamed as Solvay Flux GmbH, complementing its aluminum brazing capabilities and products with fast-growing formulations for automotive heat exchangers and stationary heat, ventilation and air conditioning units. Solvay Flux GmbH is a part of Solvay Special Chemical’s Business Unit Automotive, whose aluminum brazing products are globally recognized as the industry standard. Combining Solvay’s fluorinated chemical research and innovative capabilities with Flux’s outstanding know-how in formulations and applications will form a strong global platform for growth, bringing innovative and tailor-made solutions to customers. We continue to be your leading and competent partner for aluminium brazing challenges and remain at your disposal. Please contact us for any further information or visit our world of NOCOLOK®. The Solvay Flux GmbH headquarters and production facilities are located in Garbsen, near Hannover. Forty employees work in the areas of research, management and marketing. Solvay Flux maintains representative offices and storage facilities worldwide via the Special Chem global distribution network. To support customers locally in North America Special Chem also produces Pastes and coatings at its facility in Cincinatti Ohio. The Cincinnati plant supplies various chemicals for the catalytical converter production and has a lot of know how in automotive requirements. In addition the powder production there requires similar laboratory facilities like for the flux chemistry. Solvay Cincinatti produces Paint fluxes and various pastes. 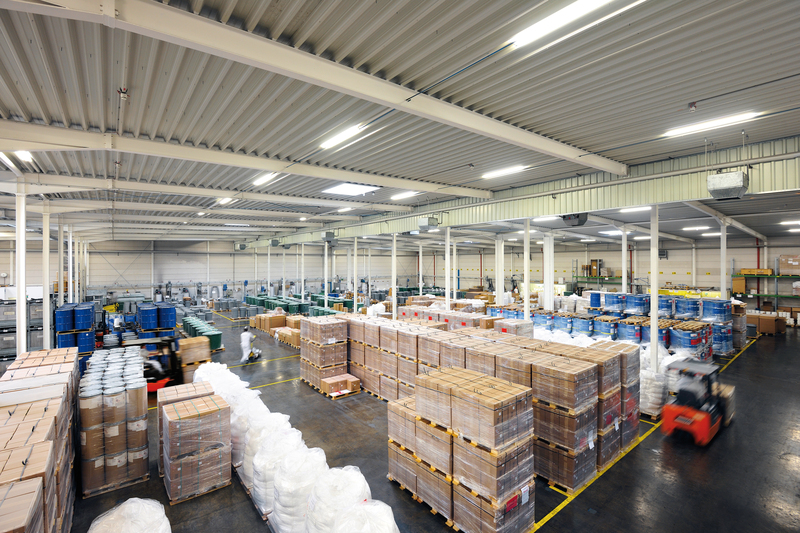 To be regional improves the shelf life of such liquids, offers make to order processes and shortens the delivery times. The CIN plant works with the same raw materials and process recipies like its sister plant in Garbsen Germany and fulfills general requirements of global key account clients. 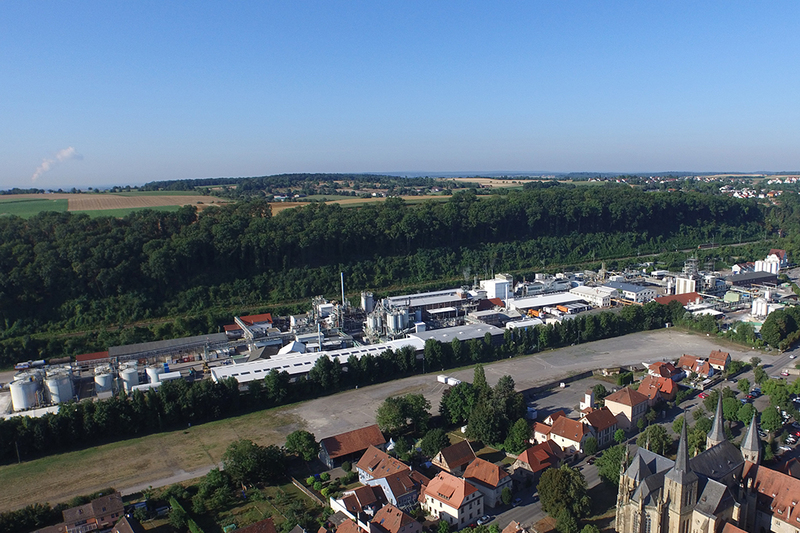 Solvay started as pioneer at their German Bad Wimpfen site in 1980. There Solvay produces a portfolio of inorganic fluorides, the most of them used for metal and glass surface treatment applications. The uniqueness of the Nocolok brazing process brought a lot of growth opportunities followed by new sites in South Korea (Onsan in 2007) and China (Quzhou in 2014). These 3 sites represent the chemical and innovative competence beside the 2 composition and blending facilities which focus on the application varities. NOCOLOK® flux brazing technology is the industry standard for brazing aluminium heat exchangers and other components. Solvay Fluor continues to strengthen its technical assistance support in the Brazing Technical Center. The Technical Center is equipped to fulfill many possible customer requests from cleaning and degreasing, to fluxing and brazing, and on to post braze evaluations such as corrosion testing and metallographic examinations. The Technical Center is at your service for all your NOCOLOK® brazing needs. The first step in any successful brazing operation is the removal of residual lubricants and forming oils. With a view towards more environmentally friendly degreasing methods, an aqueous degreasing station is available. Here various cleaning methods and aqueous degreasing agents can be evaluated to suit your particular needs. A drying furnace normally used for pre-drying fluxed parts can also be used to evaluate thermal degreasing methods. To pre-flux sample parts – either on the complete surface or selected surface areas. Different types of flux and binder mixtures can be used. Manual and semi-automated pre-fluxing is possible. Optimal binder and mixture compositions for customer specific parts and brazing configurations can be evaluated. The components are pre-fluxed using manual or semi-automatic equipment which ensures uniform coating and control of the load. By changing the rpm of the rotating table the spraying time for the parts can be varied, thus changing the paint load. Constant rpm and the fixed setting of the spray gun ensure repeatability during testing. The design of the equipment makes it possible to paint large quantities of parts, even up to a few hundred per working day. The batch brazing furnace meets all the requirements of full production capacity tunnel furnaces in terms of heating rate, atmosphere purity and temperature uniformity. The maximum size for the component to be brazed is 600 mm width x 600 mm height x 900 mm depth. The maximum heatable mass is 60 kg aluminium plus an additional 10 kg steel. Special features such as viewing ports allow a first hand look at brazing in progress. One important factor in aluminium brazing is monitoring the component temperature. For successful brazing of heat exchangers, it is necessary to precisely maintain the temperature profile in the furnace zones during the entire brazing cycle. A uniform temperature distribution throughout all parts of the units is essential for good joint formation. The control of temperature and time profiles during brazing can be realized by using a system (Datapaq) which records all information with eight precision thermo-couples. This heat-insulated device is passed through the brazing cycle together with the heat exchanger. Thereafter, the data is processed and transferred by a computer program. Testing the characteristics and properties of different material and flux combinations under flame brazing conditions. The components to be joined are first cleaned and then assembled using holding fixtures. Filler alloy is added in the form of brazing paste or brazing rings. Fluxing paste is applied manually by brush to the joint area. After fluxing, the parts are heated with an open propane-butane flame. Operation of the flame is manual. Several different material combinations like Al-Al, Al-Cu, Al-Steel are possible. Testing brazing characteristics and properties for different combinations. Two different parts made of aluminium alloys (coupon 25 mm x 25 mm and angle shaped stripe) are coated with flux, dried and brazed in a laboratory glass furnace. The brazing process can be filmed (video recorded) upon request. The furnace heating control allows different linear heating rates and dwell times at any temperature to be applied. Preparation of brazing sample (one coupon and one angle), coating of sample with flux (Solvay’s material and the clients materials can be used), brazing , optional recording by real time movie, and report. Brazing is evaluated by an arbitrary scale from 1 to 5, where 5 is very good. To observe under an optical microscope metallographic structures of investigated materials, for example to evaluate brazing quality, joint geometry, progress of corrosion, etc. Depending on the sample, an appropriate cross section is chosen and cut either with a band saw or with a high precision cutting wheel machine. The cut out samples are embedded in epoxy resin and gradually polished mirror to obtain a like surface. The cross section can be observed and photographed under either non etched or etched conditions. Optionally, special electrochemical etching can be carried out to reveal the grains. The results of optical microscope observations are summarized in a report including some interpretations of the observed microstructure features. Brazing trials for single or small numbers of units, e.g. prototypes or mock up components. It offers a means of simulating the whole production process starting with part assembly, fluxing (wet and electrostatic methods are possible) and brazing. The size of the brazing chamber and other equipment makes it possible to braze standard-size heat exchangers. The components are cleaned by aqueous washing, then assembled and fluxed in either a wet spray or electrostatic chamber. Other fluxing alternatives like pre-fluxing with a mixture of flux and binder are also possible. The details of the fluxing process are individually chosen depending on the part design and customer requirements. Brazing is performed under nitrogen atmosphere in a batch type furnace. The length of time the parts are heated closely matches typical heating rates seen in industry. To check corrosion resistance and behaviour of real parts as well as mock ups and laboratory samples. Testing is done in a spray type chamber (approx. 1000x60x25 cm). Standard testing usually follows ASTM no G85 – SWAAT Test, however, other methods such as the Salt Spray Test are also possible. You can buy and download the ASTM G85 - 09 Standard Practice for Modified Salt Spray (Fog) Testing on the ASTM website. To investigate sample surface morphology and to determine presence and distribution of different chemical elements. Please find below the different packaging types available for these products or download our NOCOLOK® Complete Packaging Bochure. NOCOLOK® is a name synonymous with innovative aluminium brazing flux products and solutions. So it's no surprise that Solvay Fluor is the first to provide a smart phone App for aluminium brazing. Comprehensive knowledge in pocketsize format for all users in the aluminium industry is now available free of charge in the App Store and the Android Market under the name NOCOLOK. Why do you need ... NOCOLOK? NOCOLOK® is indispensable as a flux for brazing aluminium components, especially in the automotive and in HVAC industries. It dissolves the natural oxide layer of the aluminium surface and allows a durable, solid joining of the aluminium parts. This works for flame brazing as well as for controlled atmosphere brazing in a furnace, for example for aluminium heat exchangers in air-conditioners and automobiles. 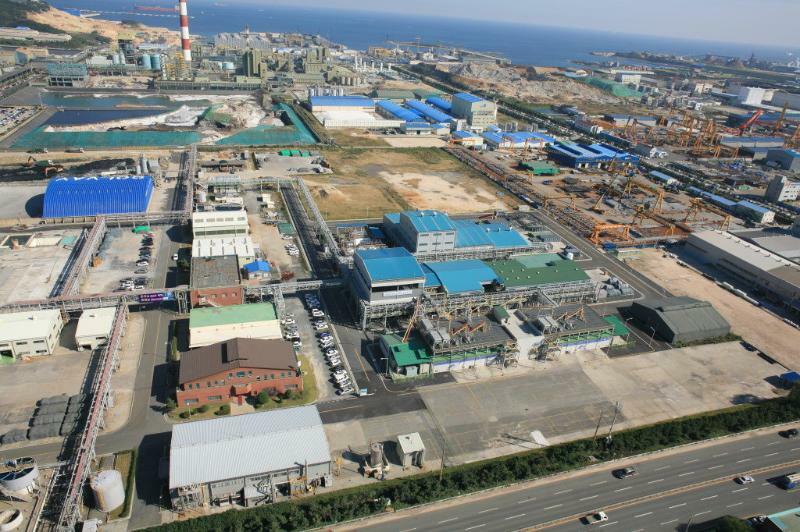 Solvay produces NOCOLOK® Flux at its plants in Bad Wimpfen, Germany and Onsan, South Korea. The Solvay Fluor research centre in Hanover offers unique opportunities for the development of future products as NOCOLOK LiFlux for HVAC applications. The European Association for Brazing and soldering -- EABS for short -- together with experts from Solvay Fluor, holds technical training seminars in which the theory and practice of flame and furnace aluminium brazing are communicated in detail. 40 interested participants from all over the world gather for the two day seminar in Hannover, Germany: technical staff, design and production engineers as well as production engineering managers. NOCOLOK® Flux 7028-9028 metallized flux pastes range is a mixture of NOCOLOK® Flux, aluminium filler metal, AlSi 7/10/12, with an organic carrier system. It is widely used where additional filler metal is required and can replace most braze operations where filer metal rings and flux pastes are used. The advantage is that a single product is used; no mixing is required. Products are supplied as ready to use products, requiring stirring only. During brazing, potassium fluoroaluminates (flux) are generated by the brazing agent in contact with aluminium surfaces. In addition silicon is generated and aluminium/silicon filler metal is formed. NOCOLOK® flux is non-hygroscopic and only very slightly soluble in water (0.2 % to 0.4 %). The shelf and pot life of the flux is therefore indefinite. The flux does not react with aluminium at room temperature or at brazing temperature and only becomes reactive when molten (at least partially molten). The flux leaves a mainly water insoluble residue which need not be removed. Application Brazing agent - as combined brazing and fluxing agent for brazing of aluminium. NOCOLOK® Flux Paste is a flux paste specifically formulated for providing a viscous homogeneous mixture of NOCOLOK® Flux (15 – 50%) in an organic carrier for brazing aluminium cladded interfaces where traditional water based fluxing is not suitable. Typical applications include but not limited to: interior tube seams (B-tubes), snap over joints (clinch tubes), tube-to-header joints, internal turbulators. The paste can be dispensed manually by brush or syringe or with automatic dispensing equipment. The paste can be used in both furnace and flame braze process. CsAIF4 can be added to accommodate materials with Mg of up to approximately 0.5 % in furnace brazing. This refers to the combined Mg-level of both components to be joined. Paint-F-Flux is supplied in a liquid format with a suitable viscosity for application by spray technique. It is applied by air spray or rolling. Versions PFF Standard: Basic version – market leader PFF C35M: With Cs enhancement for brazing of Al materials with higher Mg content PFF Inner Braze: Newly developed PFF with modified binder – for brazing of close surfaces, particularly for plate fin design of WCAC, for large Oil coolers, for CAC turbulators No component mixing is required. Products are supplied as ready to use products, required stirring only. A mixture of NOCOLOK® Flux, hydrocarbon, polymer and mineral oil carrier system. Ultra brazing flux paste is a mixture of NOCOLOK® Flux, hydrocarbon, polymer and mineral oil carrier system. Ultra flux paste is available with filler metal enhancement (AlSi 7/10/12) and available with Cs enhancement for special applications. Typical applications are by dispensing onto the internal braze area of folder radiator and heater tubes (lock seam and B-style tubes) during the tube forming process (typically 0.1 – 0.5 grams/linear meter). No component mixing is required. Products are supplied as ready to use products, requiring stirring only.